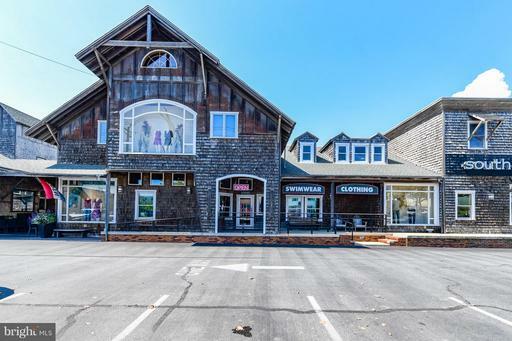 Amazing Opportunity to purchase an established shopping center with National, Regional and Local tenants. Great Coastal Hwy Mid-Town location at a traffic light intersection. HUGE PRICE REDUCTION BUY ALL OR PART! PRICED BELOW ASSESSED VALUE WHICH IS $5,197,800 FOR THE BUILDING AND THE LOTS! RESTAURANT & MAIN LOT CAN BE BOUGHT FOR $2,100,000! Exceptional opportunity to continue as a restaurant location or redevelop or convert the building to other uses. Hotel, Condominiums or Retail. Three lots have a total of 85,405 sf of land. Lot A 26 Condos or 56 Hotel Rooms. Lot B 47 Condos or 99 Hotel Rooms. Lot C 4 Condos or 14 Hotel Rooms. The current building seats 625 and there are a total of 140 parking space PLUS ample street parking. Current building could be converted to retail with 12,000 sf of public space and 4,500 sf of storage space. Plus there is storage and employee housing on the second floor. Gross square footage is 23,535+/-. Owner will be auctioning the furniture, fixtures & equipment. 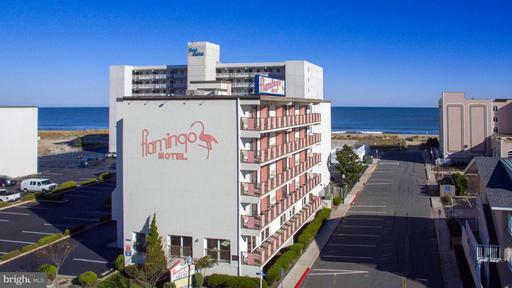 Unique opportunity to own a 36 room boutique motel in downtown Ocean City! Plenty of offstreet parking and an existing office on premises.Just one block from the beach and the World Famous Ocean City Boardwalk. 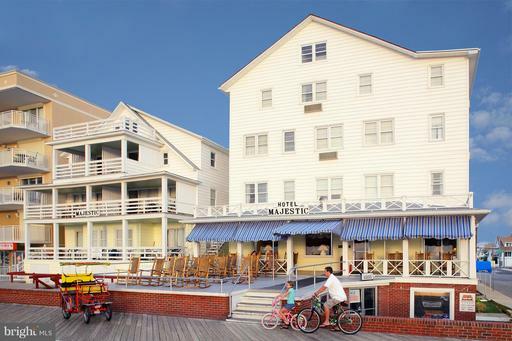 Nestled between 2nd and 3rd streets, you are steps from the optimal Ocean City experience in every direction! Dining, entertainment, amusement parks, shopping and of course the Atlantic Ocean! Call listing agent for more details and listing agent must accompany all showings. Welcome to this luxurious extraordinary 5BR/5BA home located at 12933 Old Bridge Road in Ocean City, Maryland. This incredible residence is built for the sophisticated buyer looking for their own private sanctuary with unmatched modern architectural style. This sensational 6050 sq.ft. home is on an acre of waterfront with a saltwater pool, hot tub, fire pit, putting green, fitness center and custom waterfall with koi pond. It is one of the Eastern shore's finest homes. Feel the unique experience the minute you pull into the circular drive, and as you walk through the front doors you will notice that everything about this home is unique and made with the finest material and craftmanship. An exceptional abundance of glass elements allows for the flow of natural light and there is an open floor plan with state of the art Boffi kitchen made in Milan. 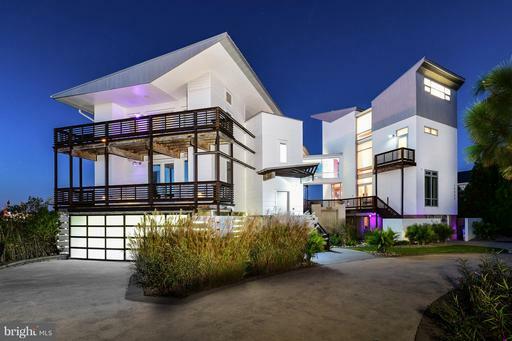 The expansive use of glass, steel, concrete, marble, and mosaic tile combined with an immaculate attention to detail that highlights every part of this home and is in harmony with the outdoor landscaping, water, pool and Ocean City skyline. The master suite is unmatched for both comfort and style, with a spa bath and dressing lounge. A skywalk connection enclosed with glass and marble tile takes you to a second architectural masterpiece living space complete with a fitness center, lounge area, multiple decks, second master, and guest suites with soaring ceilings. The second master suite is airy with a loft style complete with a master bath with Boffi built-ins, and a 600 pound custom Corian tub with Terrazzo tile flooring and custom rain shower. The car enthusiast will love the heated and air conditioned garage with glass panels to showcase your luxury ride. Top off your day with a relaxing swim in the saltwater pool, practice a little golf on your personal putting green, or take the kayak out for a memorable day on the water. In late afternoon the party is just beginning with breathtaking sunsets, a dip in the hot tub and relaxing with family and friends around the fire pit. This home's waterfront setting and unbounded amenities create the ultimate in luxury living in a one of a kind property for the sophisticated buyer. The property has parking for six cars and is close to world class marinas, airports, dining and shopping. You worked hard, so sit back, relax and enjoy a life of leisure at 12933 Old Bridge Rd. 10 Condos ocean block * Units 1-6 are 3 Bedrooms 1.5 Baths(756 sq ft) each with an Open Deck * Views of Ocean * Units 7-10 are 3 Bedrooms 2 Bath (1156 sq ft) each with a Private Deck * Walk to Beach * 10 Car parking under building * Outside Shower * All Condos have Central A/C and Heat * Updated Kitchens and Baths * Condo Docs on record * Great Midtown Location * This is a spectacular opportunity... Currently all 10 are rented yearly... Options: keep 1 for yourself, sell the others individually... Maximize your rental potential Rent Weekly...Graduating Seniors $2600/week 4 weeks = $104,000 just for June Numerous possibilities!